Do you want to be a nurse and already have a bachelor’s degree in a different field? Would you like to know nursing salaries for different types of nurse? An accelerated nursing program offers a relatively quick way to jump start your nursing career. Most accelerated nursing programs offer a Bachelor of Science in Nursing degree (BSN) and take 12-16 months of full-time study to complete, although the prerequisites and graduation requirements vary from program to program. If you want to know more, here is an article on how to become a registered nurse in 5 steps. Selecting the right nursing program will make all the difference in your preparation to become a licensed nurse, so we’ve ranked the top 50 accelerated nursing programs (absn) based on NCLEX pass rates to help you find the best school to prepare you for a long, successful nursing career. Auburn University brings a well-recognized nursing program and a stunning NCLEX pass rate to the table. Though they don’t list a separate accelerated BSN program, the admissions department encourages those with bachelor’s degrees in other fields to apply; they will work with students on an individual basis to develop a fast-track BSN program, depending on the relevant prerequisites they’ve already completed. 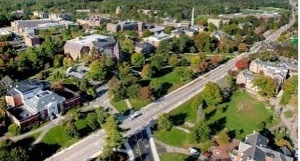 The University of New Hampshire’s Direct Entry MSN program offers students with a non-nursing baccalaureate degree to earn a MSN in two years, with 69 credits of coursework. Applicants begin in January and attend classes/clinicals full-time through both traditional semesters and the summers in between; after the first year, students sit for the NCLEX-RN before continuing in their degree track to earn an MSN. Yale’s reputation precedes itself–and there’s a reason it’s such a well-respected school. With incredibly high NCLEX pass rates, state of the art facilities and a diverse student body, Yale’s nursing program brings the best of the best together–the only downside is the high tuition cost. For a fast-track to a nursing career, Yale’s Graduate Entry Prespecialty in Nursing is a smart choice. Students of the GEPN complete a three-year program to obtain the skills and coursework necessary to take the NCLEX and then go on to complete a specialty that leads to an MSN. Drexel University’s accelerated BSN program is one of the very shortest accelerated BSN programs out there; it can be completed in just 11 months. This option includes daytime and afternoon classes that run full-time for the full 11 months. Drexel’s reputation is nationally-recognized for its quality and high NCLEX pass rates. Graduates go on to nursing positions in hospitals and clinics around the country and to graduate or postgraduate study. Northeastern’s Accelerated Bachelor of Nursing program offers a unique blend of education options. Students complete both online coursework and hands-on class and clinical requirements over the course of 16 months. The versatility of the online learning platform allows students more flexibility to work the intensive classwork around their lives, while the hands-on element allows students to work closely with top-notch faculty for necessary real-world experience. Duke University’s accelerated BSN program allows students to jump-start their nursing career with an intensive 16-month program. Boasting an NCLEX pass rate far exceeding the national average, the program has a solid history of setting students up for success. An up-to-the-minute curriculum and plenty of opportunities for local or worldwide clinical experience gives students plenty of options for real-world nursing practice. The Kramer School of Nursing at Oklahoma City University offers several versatile nursing programs to fit students’ needs–including a Second Bachelor’s Degree program in nursing that students can complete in 16 months. For those looking for an accelerated BSN program (absn program) at a more relaxed rate, part-time options are also available; administrators are willing to work with students to design a degree completion program that works with their schedule. Rush University offers students who aspire to an MSN a fast track into a nursing degree. For those with a bachelor’s degree in a non-related field, students can complete the training (including coursework and clinicals) necessary to sit for the NCLEX and become a registered nurse and obtain a Master of Science in Nursing in just two years. This Generalist Entry Master’s program is available only as a full-time program for in-residence students. Georgetown University’s School of Nursing and Health Studies offers an Accelerated Second Degree BSN that allows students to earn a BSN after completing a 16-month program of study. Expert clinicians teach students and facilitate all lab and clinical experiences. Because the program is research-based, students should expect to maintain a high level of scholarly writing ability and produce several research papers during the program. For a student-centered environment that recognizes students’ previous experience, Georgetown’s accelerated BSN offers a tempting option. One of the country’s top-rated nursing programs also offers an entry-level program for those wishing to pursue an MSN. The Master’s Entry Program in Nursing for Non-RNs can be completed over the course of 21 months of full-time study. Clinical teaching sites all over the San Diego area offer students a huge variety of opportunities for clinical experience. Graduates go on to take the NCLEX and are also eligible to take the Clinical Nurse Leader certificate exam. Fairfield’s nursing school offers a Second Degree Program for students who already have a baccalaureate degree. The program takes 15 months to complete a minimum of 60 credits, with the assumption that all program prerequisites are already completed upon admission. A combination of humanities and science courses in addition to clinical and nursing coursework and experience combines to give students the knowledge and skills they need to jump into a nursing career. Regis College is a private Catholic university in the Boston, MA area. Regis offers an accelerated 16-month bachelor of science in nursing program for non-nurse graduates. Offering a combination of day and evening classes and a wide range of clinical experience opportunities, students will have plenty of opportunities to work with top-notch faculty and clinicians to stockpile all the skills and experience necessary to excel as a nurse. South Alabama University’s School of Nursing offers a competitve program for students that are up for an intensive, fast-paced challenge. The accelerated BSN/MSN pathway allows students with a degree unrelated to nursing to complete a BSN and sit for the NCLEX after 12 months of full-time study. Those who wish to go on to pursue a master’s degree have the option to continue for one more year, assuming their grades are up to the university’s minimum standard. Loyola University’s Marcella Niehoff School Of Nursing offers a 16-month ABSN program comprised of 67 credit hours and seven clinical rotations. By teaching not only nursing skills but also essential critical-thinking, communication, and analysis skills relevant to the rapidly-changing nursing field, Loyola aims to prepare future nurses to go anywhere their careers lead them. East Carolina University’s School of Nursing opened in 1959 and upwards of 95% of graduates have passed the NCLEX on their first attempt almost every year since its founding. The accelerated second-degree BSN can be completed in 12 months of full-time study; students can begin the program each spring. Applicants must complete the NLN PAX and complete several specific prerequisites, including math, biology, and chemistry classes, in order to be considered. The University of Wisconsin offers a unique option: an online accelerated BSN program that can be completed from just about anywhere. Students complete theoretical coursework online, travel to Wisconsin for a three-week residency on campus, and then work with local nurse advisors in their home communities to complete the program’s clinical requirements. Motivated students with the necessary prerequisites can complete the program within 12 months. MUSC’s accelerated nursing program brings together hands-on experience, lab experience, and classroom work with skilled faculty to prepare future nurses for success. By combining an emphasis on knowledge, practical skills, and values necessary to be successful as a nurse, the program turns out students well-prepared to pass the NCLEX and go on to fulfilling careers as nurses. MSU Denver is a public university located in Denver, Colorado. MSU Denver’s accelerated nursing option allows students to complete a BSN degree after 17 months of full-time study. The program’s excellent reputation and high NCLEX pass rates make it an attractive option for prospective nurses who want to jump into the nursing field quickly. The University of Rochester in western New York is well-established in its field and has enjoyed a first-time NCLEX pass rate of 90% or higher for years. The university’s accelerated BSN program prerequires a bachelor’s degree and at least one class in statistics, nutrition, growth and development, microbiology, and anatomy and physiology. Qualified students can complete the program in just one year of full-time study. The Loewenburg School of Nursing at Memphis University offers an accelerated BSN program that allows students with a baccalaureate degree to earn a BSN after completing an 18-month accelerated program. The accelerated BSN program begins each fall semester and continues over the summer. The diversity of Memphis University and the surrounding area guarantees students a wide variety of nursing experiences that provide students with the skills and insight they need to excel in the nursing field long after graduation. Mount Saint Joseph University is a private liberal arts Catholic university in Cincinnati, Ohio. Their MAGELIN (Master’s Graduate Entry-Level into Nursing) program offers the quickest possible paths to students who want to become advance practice nurses. Courses give students the necessary knowledge and skillset to pass the NCLEX, then build higher-level research, clinical reasoning, and theoretical perspectives on nursing than a BSN could provide. Brookline College is a private technical college in Phoenix, AZ. Brookline allows students with baccalaureate degrees to complete a BSN program and sit for the NCLEX-RN after 16 months of full-time study. Brookline is known for diverse clinical hospital, laboratory, and community experiences that supplement classroom work to prepare nurses for real-world nursing challenges and opportunities. Purdue offers a Second Degree Baccalaureate Program in Nursing for prospective nurses who already have a degree in an unrelated discipline. The degree program requires 28 pre-nursing and 59 nursing course credits; many of the pre-nursing requirements can be transferred in from a previous degree, if applicable. Purdue’s reputation and high NCLEX pass rates reflect what many Purdue nursing graduates say: that their experience there set them up for a fantastic nursing career. Bellarmine University offers three different options, second degree nursing programs, for students with non-nursing bachelor’s degrees who wish to become a nurse at a quicker pace. Students choose from a one-year option, a two-year option, or at three-year part-time course of study, depending on how intensive a program they want to complete. The one-year program consists of three consecutive full-time semesters. 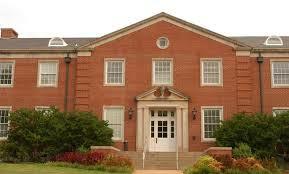 The two- and three-year programs consist of part-time semesters. Emory allows students to complete a BSN in 15 months–assuming that applicants have completed seven prerequisite courses, including Anatomy and Physiology, Chemistry, and Introductory Statistics. The program begins in the fall and continues through the spring and summer. Students will work with Emory’s internationally-recognized faculty and gain unique clinical experiences in and around Atlanta, one of the most research-intensive areas in the States. Simmons University is a women’s university in Boston, Massachusetts. For years, their nursing program has been rated one of the best in the nation; NCLEX pass rates for first-time test takers consistently stays well above 90%. Interestingly, an even higher percentage of students of the Accelerated BSN program pass the NCLEX on the first try. The accelerated program allows students to complete their BSN in 14 months of full-time study. Any prerequisite classes that students lack can be made up once accepted to the degree program. Western University of Health Sciences offers students a one-of-a-kind opportunity to combine online and in-residence coursework to obtain an entry-level MSN as efficiently and quickly as possible. Students complete four semesters of full-time study and clinical experience in order to sit for the NCLEX and become a registered nurse. After that, they’ll go on to real-world nursing practice while taking online courses to finish the master’s program. The Connell School of Nursing at Boston College offers a fast-paced, competitive accelerated MSN program for students with a baccalaureate degree in another discipline. Students of the Direct Entry Master’s program complete a prelicensure program, then sit for the NCLEX to become a registered nurse. After that, they choose a specialty–from pediatrics to gerontology–and complete the entire program in just 23 months. Creighton University is a private Catholic liberal arts university with a long history of preparing students for success, and their nursing program itself has been around for over 60 years, turning out countless students who are now experts in their fields. The Creighton University School of Nursing offers an accelerated BSN program that students can complete incredibly quickly–in 12 months or less if they enter with the necessary prerequisites. NJCU, a public university in the heart of New Jersey, offers an accelerated nursing program consisting of 64 credits. The program can be completed in about a year and a half. With accelerated BSN programs available at both the Jersey City campus and the Wall campus, area students can choose the location that works best for them. Like most accelerated nursing programs, NJCU expects its nursing students to enroll full-time and plan not to work during the intensive program. Johns Hopkins has one of the highest tuition rates of nursing schools on this list, but it does bring an internationally-recognized reputation and an incredibly versatile accelerated nursing together to make an unbeatable combination for students wishing to jump-start their nursing careers. The 13-month program gives students an intensive but thorough study of the skills and knowledge necessary to become a successful nurse. Kennesaw State University’s WellStar School of Nursing offers motivated students an accelerated BSN program that can be completed in just four semesters. Eligible students must already have a bachelor’s degree in an unrelated discipline and be admitted to Kennesaw State University before they can apply to WellStar for the accelerated program. Nursing students at WellStar meet with an advisor before even beginning their course of study to plan out the smoothest possible transition into the program possible, crafting a degree plan that works best for each individual. Pacific Lutheran is a private, faith-based university in Parkland, Washington, just outside of Tacoma. PLU’s accelerated program is a little different than many others on this list. After 15 months of intensive study, students become eligible to sit for the NCLEX, but they’ll continue for another 12 months in their chosen Advanced Specialist Focus to earn a Master of Science in Nursing. Admission to the program is competitive, and the academics are rigorous, but for students who want a fast track to become a registered nurse and to earn an MSN, this is a great option. Virginia Commonwealth University is a private research university based in Richmond, Virginia. VCU’s nursing program offers a well-rounded accelerated BSN program for students with a non-nursing degree. Students attend full-time for five semesters to complete the requirements for graduation, after which they are qualified to take the NCLEX. VCU’s nursing philosophy is one of holistic, patient-centered care, and it starts by providing students a versatile, student-centered education. Michigan State University’s school of nursing offers a competitive accelerated program for today’s prospective nurses. To complete the Accelerated Second Degree BSN, students embark on a 14-month course of study including both classroom work and laboratory and clinical experience. Students can attend classes in one of two locations: either MSU’s campus in East Lansing or Detroit Medical Center in Detroit. DePaul University, a private university in Chicago, was founded by the Vincentians in 1898. Now the largest Catholic university in the nation, DePaul also holds the distinction of turning out many well-prepared nurses every year. The MENP for non-nurses allows students with a non-nursing bachelor’s degree to earn a master’s degree in nursing after two years of full-time study. And with NCLEX pass rates well above the national average, DePaul consistently proves itself capable of giving prospective the training they need to excel. The University of Maryland’s traditional BSN caters both to those with and without a bachelor’s degree. For those with a bachelor’s degree in a field unrelated to nursing, advisors will work with students by offering an accelerated second degree nursing program that they will be able to build and complete. And the University of Maryland’s nursing program is one of the best. Ranked #6 in the nation by U.S. News and World Report, UMaryland has a 125-year history of educating student who will become leaders in their fields both at home and overseas. Saint Louis University is a private research university offering students two campuses to choose from: one in Saint Louis, Missouri, and one in Madrid, Spain. Saint Louis University’s nursing program offers an accelerated one-year Bachelor of Science degree. The twelve-month program is completed in three full-time semesters, and both junior and senior-level baccalaureate students and those who have already obtained a bachelor’s degree are eligible to apply. This 15-month program offers nursing students the same experiences, clinical opportunities, and well-qualified faculty as the traditional BSN, but in a more fast-paced, intensive environment. Two semesters and two summers of coursework are all it takes to sit for the NCLEX-RN. Those who graduate from the program are also given preference for admission to the MSN program. Florida Atlantic’s BSN program is one of the best–and their accelerated track allows students to graduate within as few as four semesters. The program is intensive, so students are encouraged not to work during their course of study. Classes begin in January of each year, and students will complete 60 credit hours of classes as well as 840 total hours of clinical and lab experience before graduation. UT Tyler’s School of Nursing offers an accelerated BSN fast-track into the nursing field. Considered a highly-competitive program, students work through an intensive 16-month course of study and clinicals to complete the program and become eligible to sit for the NCLEX to become a registered nurse. Graduates can go on to jump right into nursing practice or go on to advanced study through a master’s or doctorate program. If you are looking for Texas schools, here is a list of the best nursing schools in Texas. One of the fastest tracks to a nursing career is a direct-entry master’s nursing program, and Marquette University’s Generalist Master’s degree is among the most efficient paths to a MSN. Students complete 15 months of full-time study, at the end of which they are eligible to sit for the NCLEX. After that, they’ll go on to one final semester of study, during which they’ll complete the master’s degree. Students also have the option to pursue a specialty during this time, which may add a little extra time to complete the degree depending on the specialty requirements. Georgia Regents University is part of the Georgia Health Sciences University, a public research university system in the state of Georgia. GRU offers a Clinical Nurse Leader Pre-Licensure program, a BSN program for those with non-nursing degrees which leads to a BSN and eligibility to take the NCLEX-RN after 16 months of intensive full-time study. This program is offered at both the university’s Augusta and Athens campuses. Although this nursing program has only been around since 2006, the NCLEX pass rate since then has averaged an impressive 90%. Montana State’s Accelerated BSN program allows students to complete the requirements for a BSN in 15 months, compared to the 29 months of study required for a traditional BSN program. Students enroll for four full-time semesters and graduate at the end of the fourth, which is a summer term. When they graduate, students are ready to take the NCLEX and can go on to enter the nursing field or to enroll in a graduate or postgraduate nursing program. The University of Detroit Mercy-McAuley school of nursing’s Second Degree Program allows students to complete all the class and clinical work required to sit for the NCLEX-RN in 13.5 months, with classes beginning in January, May, or August. A faith-based (Catholic) university, Mercy builds on each students’ previous experiences and strengths and adding top-notch training and skill-building from excellent nursing faculty, administrators pride themselves on providing students an incredibly efficient but well-rounded nursing education. Azusa Pacific is a faith-based (Christian) university offering a direct-entry nursing program for students with non-nursing bachelor’s degrees who wish to become registered nurses. The program leads to a master’s degree in nursing and prepares students both to pass the NCLEX-RN and for advanced nursing practice in a variety of nursing fields. It also opens even more doors of opportunity for future nurses; graduates are eligible to apply to become a nurse practitioner or clinical nurse specialist in the state of California. Idaho State University’s School of Nursing offers an accelerated BSN program, designed for those with a bachelor’s degree in a non-nursing field who are looking for a career change. By limiting the cohort size to 30 students each year, administrators of the accelerated nursing program ensure that students have the ability to work closely with expert clinicians to complete their program of study. At the end of the program, students are eligible to take the NCLEX and become registered nurses. The University of Hawaii at Manoa offers an accelerated MSN program for those with a degree in a non-nursing field. After one year of full-time study, students are eligible to sit for the NCLEX-RN and become registered nurses; after that, they have the option of choosing a degree track that leads to an MSN, which prepares them for a career as an advanced practice nurse. California Baptist University is a private, faith-based university in Riverside, California. The university’s school of nursing offers an entry-level nursing program that leads to an MSN. Pre-licensure courses consist of 64 credits of classwork, after which students sit for the NCLEX. The skills gained by students during this program will prepare them for entry level nursing in a wide variety of health care situations and specialties. Many students also go on to pursue a doctorate. Samuel Merritt University was founded in 1909 specifically as a school of nursing, and today they’re ranked one of the best in the nation. Samuel Merritt’s accelerated BSN program allows students to complete a BSN program in 12 months. Campuses in Oakland, San Francisco, and Sacramento offer the program and schedule informative drop-in sessions throughout the year for prospective students. Because all nursing graduates must pass the National Council Licensure Examination (the NCLEX), a nursing school’s NCLEX pass rate is widely considered one of the best objective factors to evaluate a school’s educational effectiveness. Each college and university on this list is ranked according to NCLEX pass rates over the last five years. When schools have the same NCLEX pass rates, preference was given to schools with higher pass rates in the last two years, as well as to schools with lower tuition rates. Because state reporting of NCLEX pass rates is not consistent, information was drawn from a variety of sources including the nursing schools’ websites themselves.